Time to sell your Harbor House condo? Read about today's resort-market condo buyer. 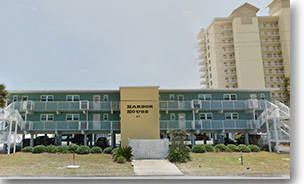 Harbor House consists of 31 condos built in Gulf Shores, Alabama. The gulf-front condominium was built in 1984 and is conveniently located to all of the attractions and the beautiful beaches that keep families coming back to the area. Harbor House is located in the West Beach area of town and within walking distance to numerous restaurants, shopping outlets, and entertainment venues and offers an opportunity to get your very own beach getaway at a great price. If you would like to schedule a private viewing, have questions or need further info, please email info@condoinvestment.com or call (251) Area-Pro (251-273-2776) for immediate assistance. Boost your Harbor House rental revenue using our RENTAL TIPS guide. Find annual rental incomes for Harbor House and all other Alabama Gulf Coast condos.